One of the most satisfying things about coaching business owners is when a client really begins to make strides in achieving their goals. I recently read a small, self-published book titled This vs. That by Bronwyn Bowery-Ireland that contained a chapter that illuminated the real conflict most of us have in moving toward our goals. The author uses contrasting pairs of words to illustrate her point in each chapter, and chapter 4 is called Action vs. Delay. Interesting, I thought. One usually compares action with inaction or delay with speed. The list goes on. But Action can also leads to opportunities that we never imagined. Let me give you an example. 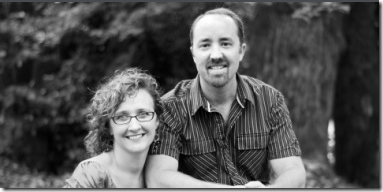 Rich & Lisa Hanson are successful music teachers and own Lakeview Music. Rich teaches guitar and Lisa is a vocal teacher. 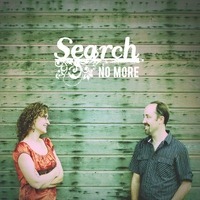 They are also worship leaders and have a band, Search No More. Their goals included increasing the profitability of the teaching business and marketing their ability to provide substitute worship leading to area churches to cover regular staff’s vacations. At one of our coaching sessions we were talking about their desire to lead worship at churches and retreats and also find more places for the band to perform. 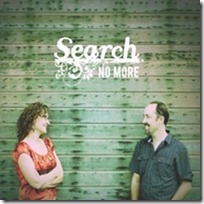 As we talked, it became apparent that they needed professional recordings to help promote their worship leading and band. As we discussed the process of putting together a recorded sample of their music, Rich informed me that they already had ten original songs written that they had been performing live for years. The next step was clear, Rich needed to take some action and record something. I asked Rich if in the next two weeks he could record 30 seconds of one song and the recording must include at least 3 tracks. Each track is an instrument or vocals. Rich agreed to do this. Two weeks later Rich showed up with a 30 second recording that included five tracks. This action lead to more action. Moving beyond Delay and taking action has resulted in: excitement in his current students and their parents; credibility with potential students; increased visibility, reputation and income from church venues. This was what we expected from producing a CD. But his action has led to more opportunities than we never dreamed of for Rich. In July the bass player in his band recommended Rich to the president of Trinity Lutheran College in Everett, WA for the Guitar and Modern Worship Professorship. The president contacted Rich and when they met Rich was able to give him a CD. A few weeks later they hired Rich as a Professor! Taking action will open all kinds of doors, sometimes ones that you never dreamed of. Are you stuck in delay? Take some action next week and see what doors it opens for you. Previous Article Previous Article: What’s in a Name? 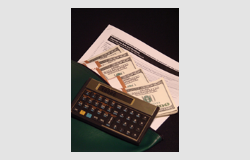 Business Coach or Business Consultant?